Mary Talbot tells two stories in parallel in Dotter of Her Father’s Eyes: Her own story of growing up as the daughter of a troubled James Joyce scholar, and the story of Joyce’s daughter, Lucia, who dreamed of being a dancer but wound up in a mental hospital. Talbot portrays the gender and family conflicts without ever being heavy-handed, and the art, by her husband Bryan Talbot, beautifully evokes the ambience of both Paris in the 1920s and England in the 1950s. Available via Dark Horse ($12.99). Whatever Happened to the World of Tomrrow, by Brian Feis, is a look back at the future as viewed in the past. 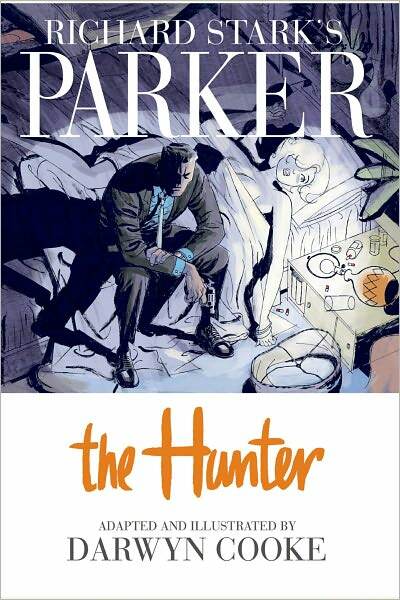 Starting at the 1939 World’s Fair and winding up with the end of the Apollo program in 1975, it follows a young boy and his father as they thrill to the possibilities that science and technology were opening up; a parallel story, written as an old-time adventure comic, brings in another dimension. The art is beautiful and very evocative of the period in which it takes place. Available via comiXology ($9.99), Kindle ($9.99), or Nook ($13.72). Here’s a quick guide to graphic novels on e-readers. Kindle: Most graphic novels will not work on a black and white Kindle; the resolution simply isn’t good enough. They will work on a Kindle Fire or the Kindle app for iPad or Android. Nook: Again, graphic novels won’t work on a standard black and white Nook, but they work fine on Nook HD, Nook Color, or Nook Tablet, as well as the Nook app for Android or Windows 8. Note that graphic novels don’t work on the Nook iOS app. iBooks: iBooks is simply Apple’s digital bookstore; purchases are made through the iTunes store and can be read on any of your iOS devices. ComiXology, Viz, Dark Horse: These are all comics storefronts; Viz and Dark Horse are publishers who carry only their own comics, while comiXology offers comics from a number of different publishers, including Marvel and DC. All three services sell comics via their websites and iOS and Android apps. You will need to create an account to buy comics; that account will allow you to sync comics across all your devices. Purchases made via the iOS apps go through the iTunes store, while you will have to enter a credit card number to purchase comics via the web. While each of these channels will allow you to read your graphic novel on any device that has the appropriate app, they do not sync with each other—so, for instance, if you buy Oishinbo for the Nook you can’t read it using your Viz account. When did they start calling “comic books” “graphic novels”? Did they do this so that adults still reading comic books wouldn’t feel so ashamed or embarrassed that they were still reading things intended for children or others with low literacy skills? Totally just embarrassed adults. Comics are comics! Dude, no, graphic novels usually are stand alones. Thats it. Its just a way to say it. Just like manga.